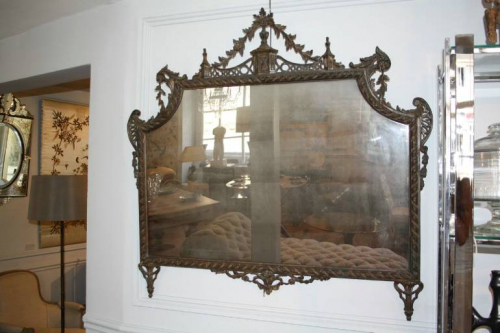 A very unusual and beautifully carved wood mirror with polychrome finish. The central plate is distressed giving a dark/murky reflection. French c1900.